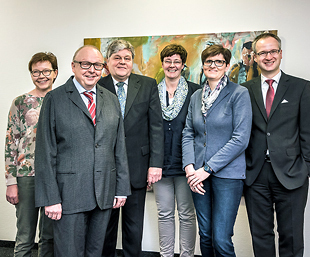 Lawyer Dr. Thomas Foerster was appointed notary within the jurisdiction of Hamm Oberlandesgericht (higher regional court) in 1992; Uwe Schäfer was appointed notary in 2007 and Wilko Wiesner LL.B. was appointed notary in 2016. With the support of our notarial assistants Ute Jostes, Klaudia Laukötter and Kerstin Molkentin we offer you advice and handle all affairs requiring the services of a notary. With the support of our two long-serving notarial assistants Ute Jostes and Klaudia Laukötter we offer you advice and handle all affairs requiring the services of a notary.